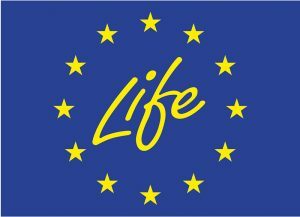 Fostering Low-Carbon Healthcare in Europe is a six month pilot project lead by Health Care Without Harm – Europe, working with six hospital partners across the region, including several GGHH member, to identify opportunities for further engagement on climate related issues, including anesthetic gases. On the 8thand 9th March 2018, Vivantes Klinikum Neukölln, a GGHH member in Germany, hosted a two-day roundtable meeting for participants to close the pilot project. Participating hospitals gave presentations on their progress to date. They also put together a document to summarize the project. The focus from Vivantes in 2017 was primarily on energy consumption and the hospital has been certified twice as an energy saving hospital by BUND Berlin (savings of 40% over 10 years). They are currently work on their own action plan – Green and Healthy Neukölln which is based on the Agenda goals of GGHH. Assistance Publique Hôpitaux de Paris (APHP), a GGHH member in France, presented their work on monitoring energy consumption and greenhouse gas (GHG) emissions. Procurement represents over 30% of their GHG emissions and the largest areas of procurement are drugs and anesthetic gasses, medical devices, and food. 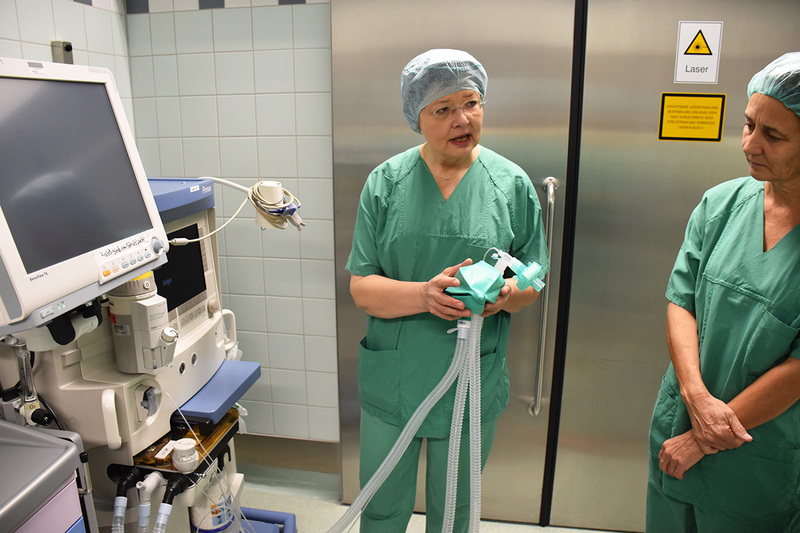 Karolinska University Hospital, a GGHH member in Sweden, has a target to reduce the carbon footprint from anesthetic gases by 20% per surgery by 2021. Going forward they see a need for a life cycle assessment of intravenous (IV) anesthesia compared with gas anesthesia to determine which has the greater environmental impact. This comparison will be useful to make informed anesthesia choices without compromising patient safety. Hospital Universitario Sanitas La Moraleja, a GGHH member in Spain, has been measuring their carbon footprint (scope 1 and 2) and anesthetic gasses since 2013. Approximately 30% of their carbon footprint comes from anesthetic gases, predominantly N2O. 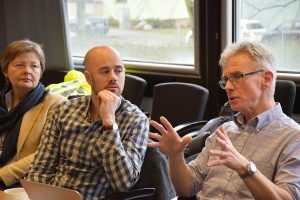 Dr. Tom Pierce, Sustainability Advisor from the Royal College of Anaesthetists, UK (RCoA), presented the atmospheric science that explains the environmental impact. Closing his presentation, Dr. Pierce showcased the Anesthetic Impact Calculator, an innovative tool he has helped produce with RCoA, which helps anesthetists include environmental considerations in their clinical decisions. He also showed clinical standards within the UK and discussed the role of medical curricula for future anesthetists. For more information on the calculator and his presentation, click here. For more information on the event and to download the presentations given by the participants, click here. To access the summary of the pilot project, click here. 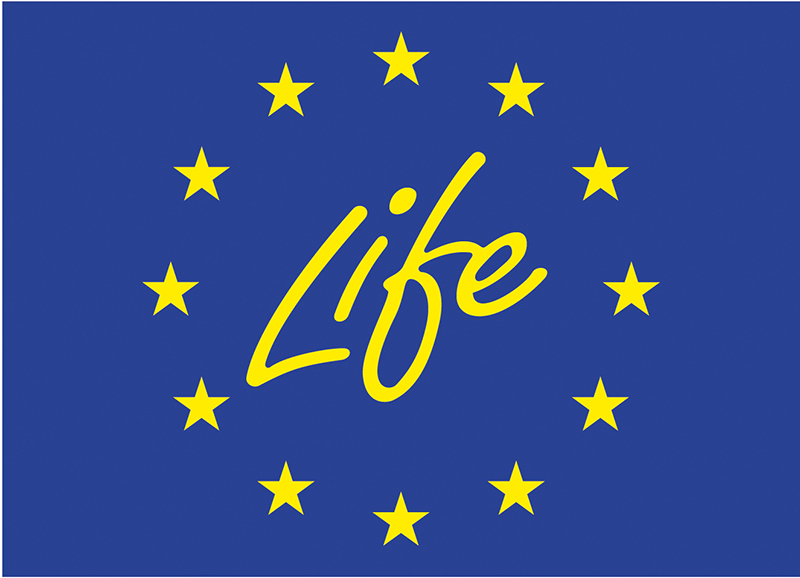 HCWH Europe gratefully acknowledges the financial support of the European Commission’s LIFE+ programme, the European Climate Initiative (EUKI), and the Federal Ministry for the Environment, Nature, Conservation, Building and Nuclear Safety (BMUB). HCWH Europe is solely responsible for the content of this presentation and related materials – the views expressed do not reflect the official views of the European Commission, EUKI, or BMUB.